When you sit to meditate, do you start by setting an intention for your period of meditation? When you arise in the morning, do you start by setting an intention for your day? I was struck after several years of practicing meditation when Mitchell mentioned that he sets an intention for his meditation before he starts. Although I’d heard lots of meditation instructions, most teachers failed to mention this step. “Sit and follow your breath” was the most frequent instruction. Inherent in that instruction is “decide to follow your breath,” but actually saying to myself “my intention for this sitting is to follow my breath” was more helpful to me. This let me be more motivated, and it felt like more mindful, about what was going to happen on the cushion. It also helped me start each period by deciding what I wanted to do with my meditation: metta meditation, lovingkindness meditation, gratitude meditation, counting breaths, basic awareness, etc. By reminding ourselves of our intention, we help ensure we are on the right foot. The root of “intention” means “to stretch towards,” and setting an intention does just that. It doesn’t mean we’ll remember our intention all day. But by reminding ourselves regularly of what we’re stretching towards, we can help orient and reorient ourselves. The goal isn’t to be perfect in meeting our intention, it’s to come back and try again and again, just as in sitting and mindfulness practice the goal is to come back to our breath and our awareness again and again. The day is now ended, and our life is shorter. With all of our heart let us be diligent engaging in the practice. So that life does not drift away without meaning. In the Plum Village practice, it’s suggested we start and end our days with these gathas as a way to recalibrate and remind ourselves of the path and our steps along it. While setting our intention is a helpful practice, perhaps as or more important is discovering our intention. During the course of our day, we can stop and ask ourselves what’s motivating us in the moment. Often, it may not be a healthy motivation—it may be vindictiveness, frustration, fear, or other negative emotion. Mindfulness allows us to stop and ask: “What is this and why am I doing it?” We can look deeply at the source of the intention in our psyche and history. As Thich Nhat Hanh discusses in the quotation below, asking this question allows us to intervene and recognize our situation and perhaps, with practice, to replace unhealthy motivations with healthy ones. If we intentionally direct ourselves toward positive motivations and identify and investigate those times when we’re under the influence of negative ones, we can nurture positivity and help transform negativity. This Thursday, we will discuss the role of intention in our practice. Is it helpful to set an intention, or does it feel like it’s being too goal oriented? 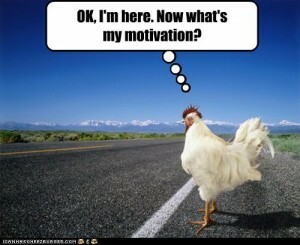 Are you able to stop and check your motivations? What motivates you to be on the path of mindfulness itself? We hope you can join us. [There are four kinds of nutriments—food, sense impressions, intention, and consciousness.] The third kind of nutriment is volition, intention, or will—the desire in us to obtain whatever it is that we want. Volition is the ground of all our actions. If we think that the way for us to be happy is to become president of a large corporation, everything we do or say will be directed toward realizing that goal. Even when we sleep, our consciousness will continue to work on it. Or suppose we believe that all our suffering and the suffering of our family has been brought about by someone who wronged us in the past. We believe we will only be happy if we inflict harm on that person. Our life is motivated solely by the desire for revenge, and everything we say, everything we plan, is to punish that person. At night, we dream of revenge, and we think this will liberate us from our anger and hatred. Everyone wants to be happy, and there is a strong energy in us pushing us toward what we think will make us happy. But we may suffer a lot because of this. We need the insight that position, revenge, wealth, fame, or possessions are, more often than not, obstacles to our happiness. We need to cultivate the wish to be free of these things so we can enjoy the wonders of life that are always available—the blue sky, the trees, our beautiful children. After three months or six months of mindful sitting, mindful walking, and mindful looking, a deep vision of reality arises in us, and the capacity of begin there, enjoying life in the present moment, liberates us from all impulses and brings us real happiness…. The Buddha presented [a] drastic image: “Two strong men are dragging a third man along in order to throw him into a fire pit. He cannot resist, and finally they throw him into the glowing embers.” These strong men, the Buddha said, are our own volition. We don’t want to suffer, but our deep-seated habit energies drag us into the fire of suffering. The Buddha advised us to look deeply into the nature of our volition to see whether it is pushing us in the direction of liberation, peace, and compassion or in the direction of suffering and unhappiness. We need to be able to see the kinds of intention-food that we are consuming.